AMMONNEWS - Prime Minister Omar Razzaz said the government is committed to making the decentralization scheme a success and work hand-in-hand with the local councils to pinpoint and address shortcomings whenever they appear. 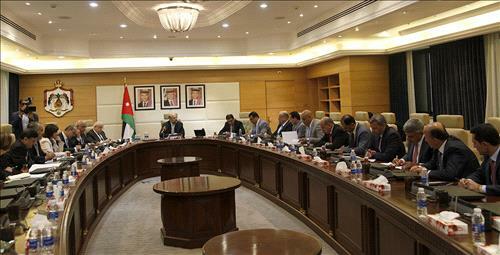 During a meeting with heads of the provincial councils (decentralization) in the presence of the Ministerial Committee on Decentralization, the premier said that His Majesty King Abdullah II views the decentralization project as an integral part of the concept of comprehensive renaissance to maximize the role of provinces to set citizens' priorities and take appropriate decisions. "The aim of the project was to find a new approach to decentralize the decision-making process, but on the ground there is still a high degree of centralization" the prime minister added. Razzaz voiced the government's readiness to reconsider the decentralization law and address challenges facing the work of the local councils, including the establishment of headquarters and the councils' budget. The premier instructed that a meeting to be held soon between the heads of the provincial councils, the ministers of education, health, public works and housing and the secretaries general of these ministries with the aim of supporting the role of the provincial councils to service citizens and set priorities.